The premiere ofSupergirl is only one week away! And today,CBS has released an official synopsis and image from the third episode, "Fight or Flight," which has Peter Facinelli guest starring as tech entrepreneur Maxwell Lord. 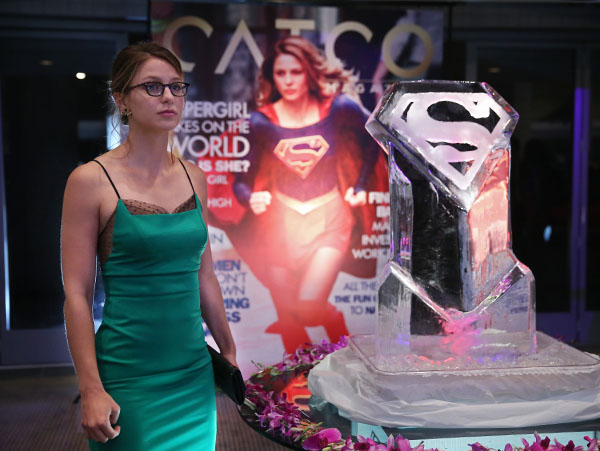 Supergirl’s powers are tested when Reactron (played by Chris Browning), one of Superman’s formidable enemies, arrives in National City and targets the young hero. Also, Cat plans to run an exposé on Supergirl. "Fight or Flight" episode of Supergirl will air Monday, Nov. 9 (8:00-9:00 PM, ET/PT) on CBS. It was directed by Dermott Downs and written by Michael Grassi and Rachel Shukert. Supergirl premieres Monday, October 26 at the special time of 8:30pm ET/PT on CBS.